Starting Monday, Caltrain riders with bikes will be allowed to board first onto designated bike cars. The Bikes Board First program is aimed to reduce delays and make boarding faster and smoother for all riders, according to a release from the commuter rail service. A pilot program last year showed that trains shaved more than a minute from boarding times at Caltrain stations. Riders with bicycles will be able to board first onto bike cars after passengers have exited. 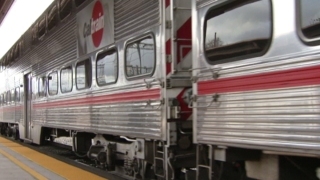 Caltrain ambassadors will be on hand at various stations in the coming weeks during peak commute hours to help implement the new boarding protocol. The program was developed with input from the Caltrain Bicycle Advisory Committee (BAC) and bicycle advocacy groups.